My trip to the Dolomites marked the beginning of the end of my time in Europe. One final, last-minute hurrah to tick off a few long-held bucket list items, squeezed between my return from Georgia and impending flight back to the sunny shores of Australia. In other words, it was mad dash of tossing out the beachwear and summer dresses I’d been carting around in my carry-on for the last 3 months, digging out my thermal layers, winter coat and woollen beanie from the bottom of my full-sized backpack, hoping it would be warm enough for the autumn in the mountains (it wasn’t) and quickly realising the general puffiness of winter attire meant I couldn’t fit quite so much in my trusty 30L backpack. Plans were hastily thrown together, maps and bus timetables were poured over for hours and the endless possibilities of places to stay and things to do left me horrifyingly overwhelmed. As it turns out, unlike a number of places I had travelled to this year, the Dolomites are incredibly well set up for tourists. Public transport is prolific and runs on time, accommodation options are varied and plentiful, information centres are well informed and the food is pretty darn fantastic mixing the heartiness of Austrian fare with the moreish deliciousness of the Italian. But in my haste to reach this stunning part of Europe, there were a few things I wished I had known beforehand, simple things that would have made my planning a little easier and things I’ll definitely be keeping in mind for my next visit. 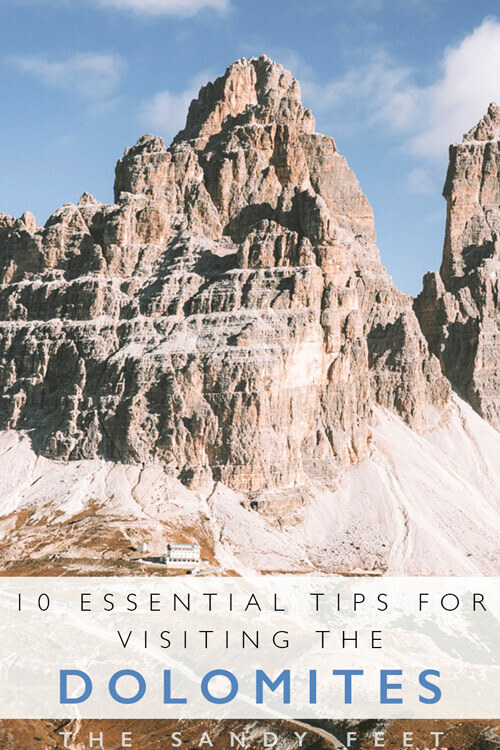 These are my top 10 essential tips for visiting the Dolomites in Italy, and some practical things you should know before you go. Carbonin or Schluderbach. Ortisei or Sankt Ulrich. Val Gardena or Gröden. Straddling the border between Italy and Austria, almost every town, and sometimes even the mountains, have two names – Italian and German – and often, they’re not even remotely similar. On my first day in the Dolomites, this led to fair few awkward encounters as my sleep-deprived brain after an overnight bus tried desperately to figure out why the very patient information attendant was repeatedly telling me to go to one place, which was completely different to the one listed on the information slip she’d just printed out for me. Turns out they were one and the same. While bus timetables tend to list both names to help ease the confusion for us tourists, when you’re asking directions or buying a train ticket, whether the person you’re speaking to has a preference for German or Italian they may not use the place name you’re most familiar with. 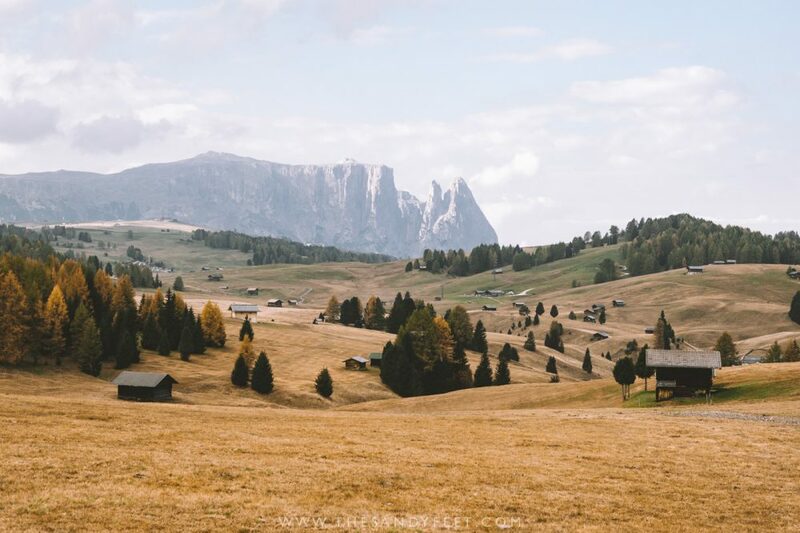 Nothing beats a Dolomites road trip – whizzing past sprawling meadows dotted with quaint alpine villages, winding higher up a mountain pass to find one impossibly beautiful vista after another, gawking out the window as new, more impressive peaks tower overhead. It’s a pretty amazing place to explore on four wheels, but the excellent public transportation means that those not keen on renting a car won’t be left behind. If you’re a photographer hoping to chase the soft morning light, very short on time or an early bird not wanting to be constrained by a bus schedule, renting a car is certainly the way to go. Bolzano is the closest hub, though car rentals can be arranged from any of the nearby airports as well. Search the best deals on rental cars in the Dolomites here. During the buzzing summer season (late June to early September), dozens of bus routes return to service connecting all major villages and leading to many of the key hiking spots. Cable cars also resume their slow climb to the upper plateaus affording stunning views and easy access to many of the high altitude trails. When low season sets in between summer and winter, getting around can be a little more tricky as these services begin to drop away, but it’s certainly not impossible. Keep a close eye on the timetable’s seasonal dates which are often listed year round and plan your itinerary accordingly. The STA website is an excellent database for all transport in the region. Arriving by bus as well? Flixbus has major transport hubs in Bolzano and Trento, as well as a number of smaller terminals throughout the region. Search the cheapest bus fares on Flixbus here! Thankfully, for the past four years of travel an Australian drivers license is all I’ve ever needed to rent a car and, given the short validity period, applying for an International Driver’s Permit was something I constantly put off doing. 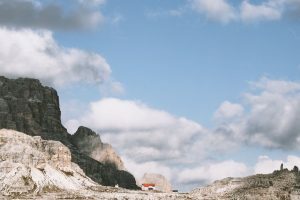 It wasn’t until I was browsing through my options for car rentals in the Dolomites that I discovered an IDP is absolutely essential for driving in Italy. A scrappy bit of paper that, somewhat annoyingly, it just so happened I did not have. If you’re travelling to the Dolomites and don’t have an EU driving permit, be sure to apply for an IDP several weeks before you leave to ensure your plans for a European road trip don’t get derailed. 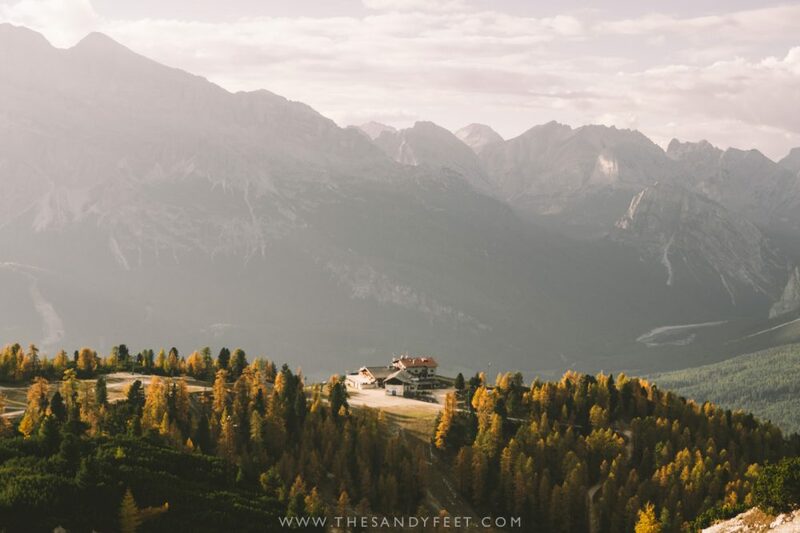 Longtime readers of The Sandy Feet will know that autumn is pretty much my favourite time of year in Europe, when colour washes through the endless forests, the summer crowds begin to dissipate and the climate returns to wonderfully mild temperatures. 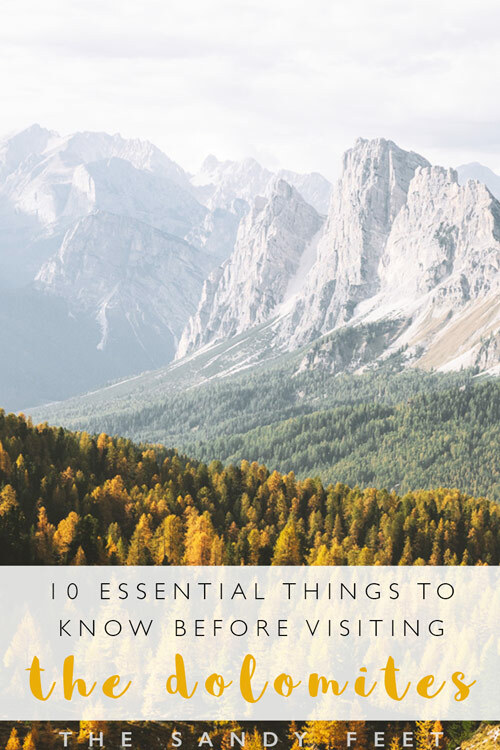 When it comes to visiting the Dolomites, this is certainly one of the best times of year to visit. It is true that the crowds in high season here can become a little overwhelming, especially along the most popular hiking trails which some have likened to being in a zoo – not a feeling I like to equate with a day out in nature. But on my visit in late autumn, with the frenzy of the warmer months long gone, I had the feeling of having almost everywhere to myself. It’s important to note however that visiting out of season is not without its challenges – many businesses and tourist services choose to close up shop for renovations or to take a vacation of their own before the madness of winter/summer set in. Bus schedules are far more limited, cable cars stop running, hotels begin to take their last bookings and many restaurants are only open on weekends. So, ‘budget-friendly’ might be a relative term, but as far as the Alps and Western Europe go, the Dolomites are an absolute bargain. Cosy private rooms for the price of an Amsterdam dorm bed, affordable and prolific public transport, tasty and plentiful meals for under €10 and completely free and easily accessible hiking trails. If you’re looking for an excellent value alternative to its French and Swiss neighbours, then the Italian Dolomites are your best bet. Plus, there’s pizza. Take away pizza with a view | As soon as you sit down to dine, the prices quickly start adding up. If you’re just after a quick bite for lunch or at the end of a long day, nothing beats a hot, wallet-friendly takeaway pizza enjoyed with a fabulous view of the mountains. Visiting out of season, this was sometimes also the only option during the week. Order hot starters over mains | After a hard day of hiking, there’s nothing I crave more than a hearty meal, but after sitting down to eat on my first day and baulking at the prices of the mains, the cheapest of which was almost €30 (close to 50 Australian Dollars), I settled on a starter portion of pasta instead. Turns out, the mains tend to follow the rule of being a meat, veg and carb combo, while the starters were actually very decent portions of almost anything else – pasta, salad, soups etc. – and much more affordable. Buy multi-day transport tickets | This was my biggest money saver of the trip. If you’re travelling over longer distances or planning to use public transport for several consecutive days, buy a day- or multi-day ticket instead of singles for each trip. For whatever reason these are only sold at a few of the regional train stations – Bolzano and Dobbiaco to name a few – but they can save you a huge amount on transport. Chat with the information attendants at the train or bus station to confirm where your ticket will be valid as some special services (like the shuttle to Rifugio Auronzo for Tre Cime di Lavaredo) are excluded. Make use of free transport In Val Gardena | Many hotels in Val Gardena provide a free Mobil Card as part of your reservation which gives you unlimited access to all buses in the area for 7 days. Check if your hotel is a member of the Val Gardena Tourist Association to get this deal. 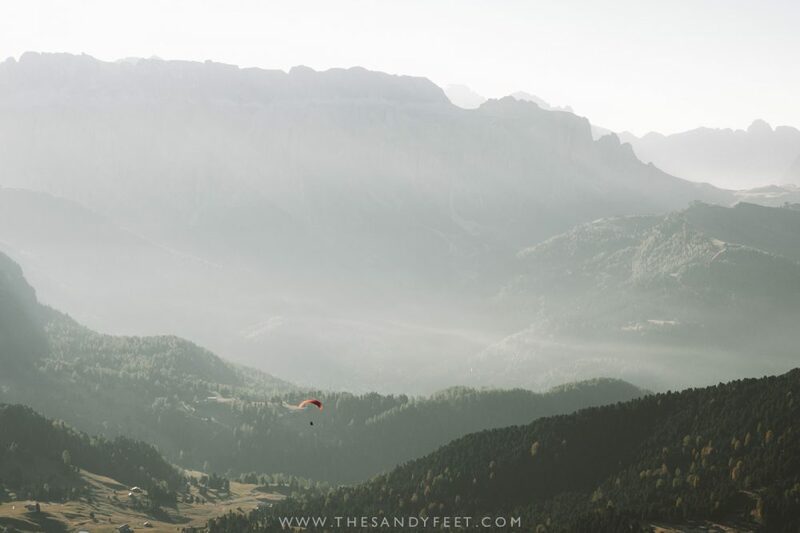 The Dolomites are not a place to come and sit idly, they’re a place to get out and explore on foot. With spectacular views in every direction, trails that weave through forests, across sweeping green valleys and beneath some of the most impressive rock formations I’ve ever seen, it’s a veritable playground for hikers and lovers of outdoor adventure. 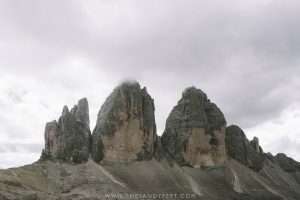 Hiking trails are available for all abilities, from one of the best hikes in the Dolomites, Tre Cime di Lavaredo, which is largely flat, to the alternate route to Lago di Sorapis which is probably one of the hardest hikes I’ve ever done, there’s a little something for everyone. If there’s one regret I have from my time in the Dolomites, it would be missing the chance to fall asleep and wake up in a log cabin in the heart of the mountains. Setting my alarm for some ridiculous hour, stretching out like a cat in my cosy sleeping bag and clambering out, bleary-eyed before dawn to see the first glimmer of day creep across an epic skyline of spiky peaks. For me, this was the one major drawback of travelling in the Italian Alps out of season. Rocking up in late October, when the last of the mountain rifugios had closed their doors to visitors and renovations for the winter season were well underway, it just wasn’t meant to be. Still, if you get the chance to wake up in such a glorious setting, take it! Just be sure to call well in advance for enquiries as they book up fast and emails can often go ignored. What’s better than staying in one mountain rifugio? Staying in a bunch of them! 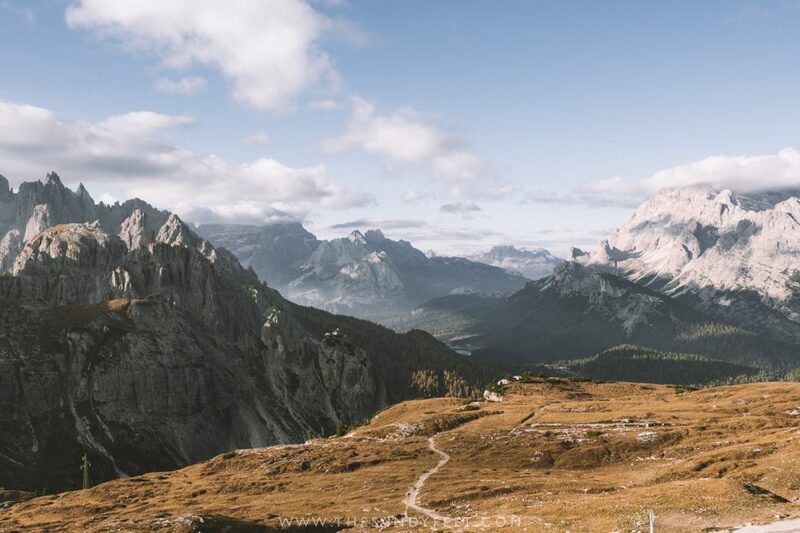 It’s no secret that the Dolomites are one of Europe’s best summer hiking destinations, and one of the best ways to escape the crowds is to get off the main hiking routes. Most visitors arrive around mid-morning and stick to the most popular day trails, which means anywhere a bit further off course will see the crowds quickly diminish. 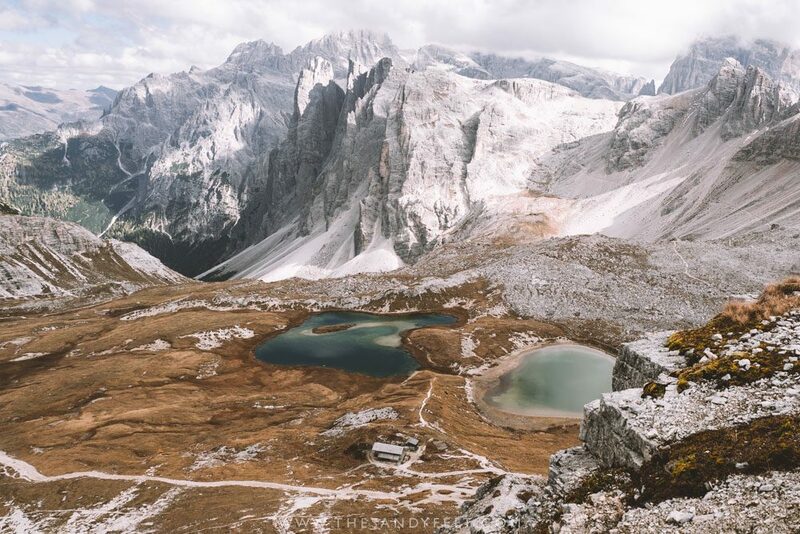 Though like most visitors, I only managed to do day hikes, there are a number of fantastic multi-day routes that allow you to hike from hut to hut and really drink in the beauty of the Dolomites. 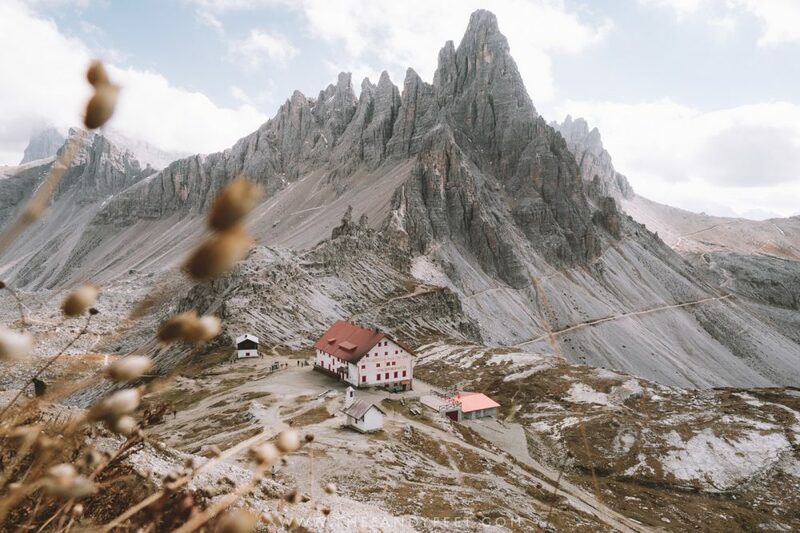 If all your knowledge of the Dolomites has come from what you’ve seen on the ‘gram, you’d be forgiven for thinking that this stunning corner of Europe was composed of no more than ten ridiculously beautiful locations. As a millennial who spends far too much time on her phone, and has an awful habit of sinking into the mindless scroll and double tap routine, barely a day goes by that the Dolomites don’t pop up on my feed. A warm sunny glow glancing off the jagged peaks of Tre Cime di Lavaredo, the teal surface of Lago di Braies peppered with charming wooden boats or just beyond the wistful gaze of some hatted and blanket-clad figure, the impressively rugged facade of Seceda draped in mist or with an out-of-focus foreground of wildflowers. No matter how many times I’ve seen them online, the changing conditions have the ability to transform these places completely before your eyes, and finally seeing them in person, they are nothing short of spectacular. What struck me most, however, was that there is just SO much more to the place than what is distilled into these few perfectly beautiful but slightly overdone perspectives. The massifs are larger than life, forests are filled with colour and enchanting silences and while the iconic sights are so beautifully captured, what I hadn’t expected was that what exists outside of this field of view, outside the tiny portion of the panorama that gets squeezed through the shutter, could possibly be even more beautiful. I know the ‘Instagram spots’ will form the basis for so many people’s itineraries – they certainly did for me – and they are definitely worth visiting, but I would encourage you to also seek out other places for their beauty as a whole and not just for one singular image. Trust me, they’re just as incredible. When I began planning my trip to the Dolomites, I was quickly overwhelmed with all the options of where to stay. Couple that with limited October transportation and I was soon lost down a rabbit hole of Google Maps, possible hiking itineraries, bus timetables and an infinite number of tabs that I could no longer keep track of. 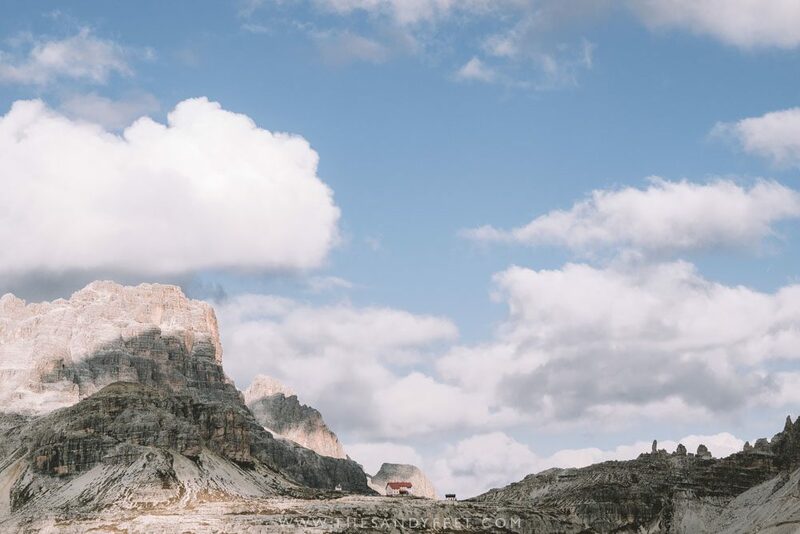 On the map, the Dolomites cover a pretty small area, but they’re not that small, and if you’re anything like me, you’d rather spend your time out in the mountains than stuck behind a windshield watching them flash by in the distance. I’d highly recommend choosing either one area as a base and exploring the nearby area well, or moving between several key bases over the course of your stay. Due to my limited transport options, I chose to spend several nights in Cortina d’Ampezzano and another few in Ortisei which both lie in the heart of the mountains and didn’t require all that much travel to reach the hiking trails. Set in a gorgeous valley between the two, Alta Badia is another excellent base, though out of season, transport here is virtually non-existent. 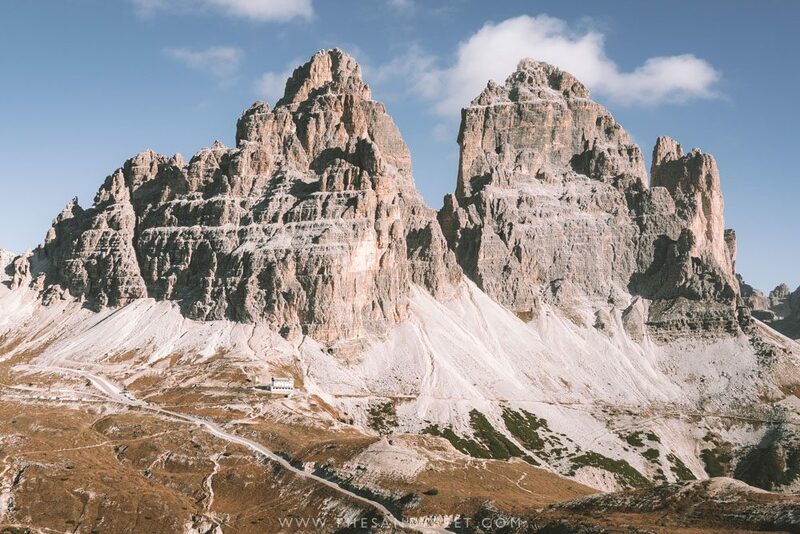 Cortina d’Ampezzano – Great for visiting Tre Cime di Lavaredo and Lago di Sorapis, as well as Passo Giau which I wasn’t able to make it to. 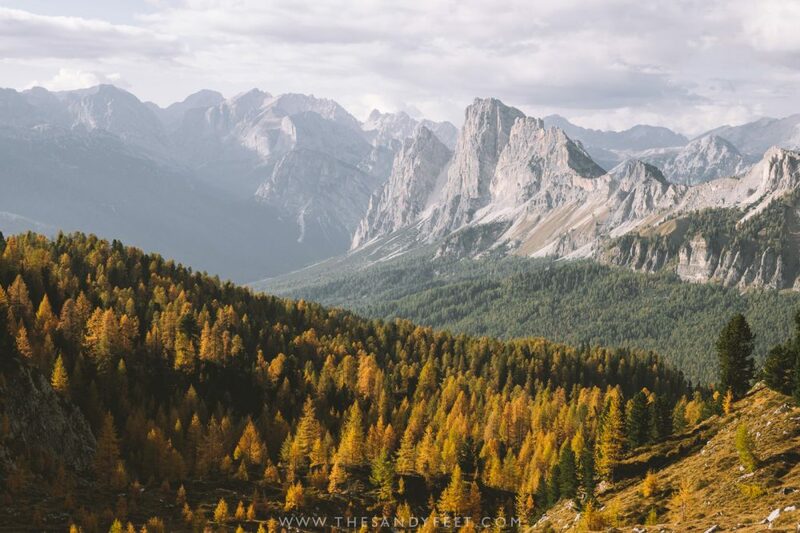 Dobbiaco/Toblach – Less scenic than the other alpine towns, this is the closest major hub to popular Lago di Braies and also provides easy access to Tre Cime di Lavaredo. You could also visit both on your way to or from Cortina. 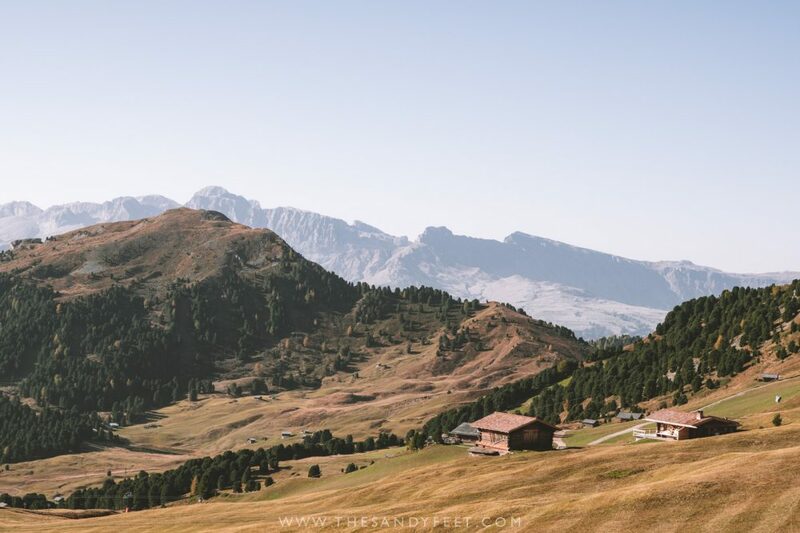 Ortisei and Val Gardena – Perfect for reaching Seceda and Alpe di Siusi. Though further afield, this area is also well located for reaching Lago di Carezza and the Torri di Vajolet (Vajolet Towers). Alta Badia – Set between spectacular mountains but transport is more limited than elsewhere. Heading to the Dolomites, Italy? Start planning your adventure with these helpful guides. Hey Scott, Thanks so much for your comment! Absolutely nothing wrong with being inspired by Instagram – I certainly was – but there are also so many other incredible spots in these mountains that aren’t famous on the ‘gram but are absolutely worth exploring as well. Good luck with your trip!